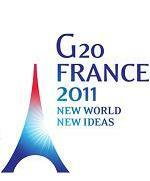 G-20 New World Order Global Goblins meeting in Cannes France for Greece bailout! Well the Lord’s Drill Sarge is hard on this meeting and who knows how this will turn out! People all around the world are up in arms on how our leaders are causing nothing but problems for the common man. 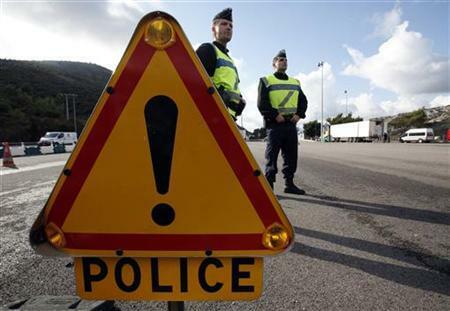 (Reuters) – The glamorous and easy-going Riviera resort of Cannes turns into a fortified camp this week as French police prepare for the arrival of world leaders for a G20 summit set to be hijacked by fears that a euro zone crisis relief plan is unravelling. Thousands of extra police have been deployed along the Mediterranean coast to stop protestors travelling the 30 km (19 miles) down from Nice, where they are being kept at arm’s length, and sparking clashes that could disrupt the gathering. 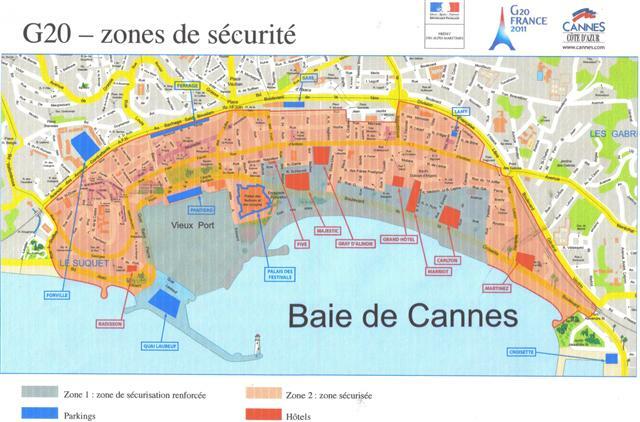 Police have sealed off Cannes’ mythical waterfront drag, set up a second security perimeter around the old town and told ‘Cannois’ locals aged over 12 they must wear identity badges to move around their own city during the Nov 3-4 summit. 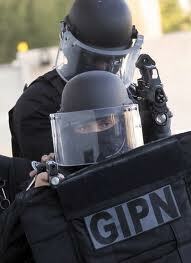 Tight security is common at “G” summits. But the sight of military-style troop manoeuvres on the ‘Croisette’ beachfront is particularly striking, given that Cannes is better known as the setting for a star-studded film festival held each May. 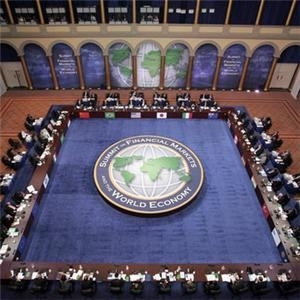 Hotels usually filled with movie professionals and Hollywood A-listers, such as the Carlton and the Martinez, are behind a police cordon in “Zone 1” — the inner sanctum of the G20 — and filled exclusively with G20 professionals for the week. Boating is forbidden throughout the summit in Cannes harbour, where some of the world’s largest yachts dock during the festival, and schools in the security zone stay closed for an extra four days after All Saints holidays this week. Most restaurants in the warren of streets behind the Croisette will be closed for lack of customers, as only badge professionals are allowed near. For those inside the G20 world, hotels can provide a list of open restaurants. Reinforcing the gloomy imagery, France’s national weather service forecasts two days of grey skies, rain and stronger-than-usual winds on Thursday and Friday. Dark clouds also hung over the euro zone, as Greece’s prime minister announced that he would ask Greeks to approve austerity measures in a referendum, throwing a package of crisis measures agreed by EU leaders last week into uncertainty. French President Nicolas Sarkozy and German Chancellor Angela Merkel will fly into Cannes on Wednesday to meet Greek officials, and Sarkozy will later dine with Chinese Premier Wen Jiabao. Protesters have already set up base camps by Monday and were hard at work by Tuesday getting their message out. On Tuesday, several hundred activists from around the world marched through Nice under the banner “People First, Not Finance”, voicing anger at the capitalist system, calling for an end to tax havens and more aid for the world’s hungry. Police are determined to keep protestors, who belong to non-profit groups ranging from Greenpeace to Attac and the Human Rights League, from reaching Cannes after protests turned violent at similar meetings in Genoa and London.